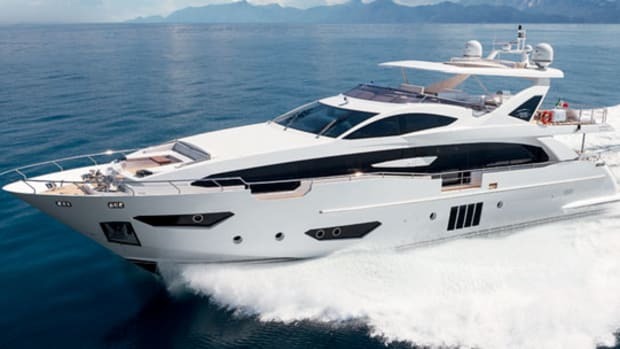 Hot Take: As I looked over the Azimut 66 Fly at Boot Düsseldorf for the first time, something clicked and my tastes underwent a sea change: I understood the look of a European motoryacht in a way I never did before. Instead of grudging admiration, I saw her for the lively mix of beauty, volume, and performance she is. —J.Y.W. 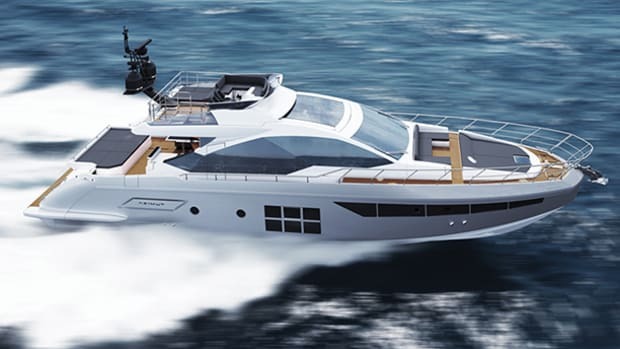 She’s a sleek flying-bridge yacht. 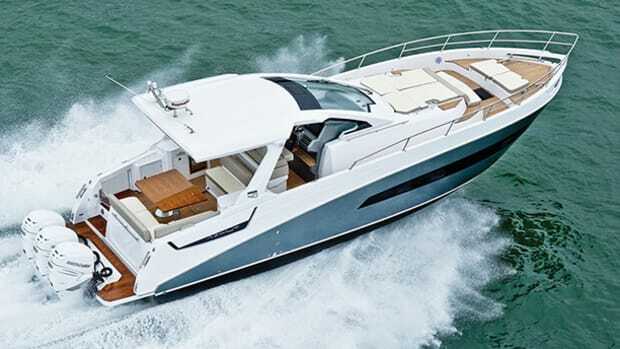 She’s a four-stateroom (plus crew) motoryacht of a certain size that keeps an eye on performance. She’s got a lot of carbon fiber, but she doesn’t show it off. 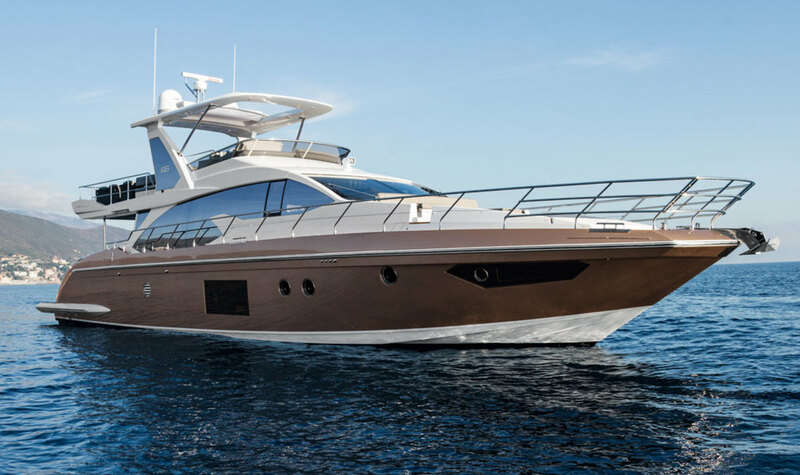 If each of these statements seems like an oxymoron to you, then you haven’t seen the Azimut 66 Fly yet. 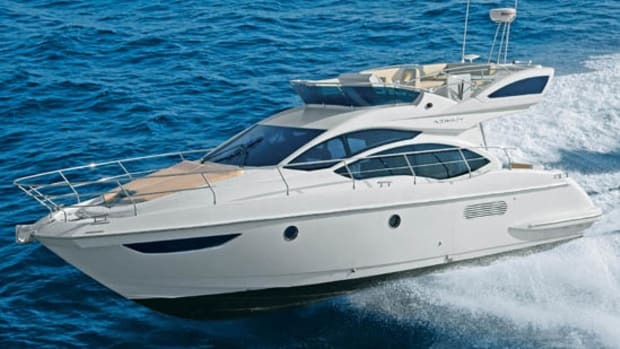 Azimut continues to pay significant attention to the dynamic stability of its designs and this boat is a shining example of that philosophy. That means paying attention to weight and both longitudinal and vertical centers of gravity throughout the build process. 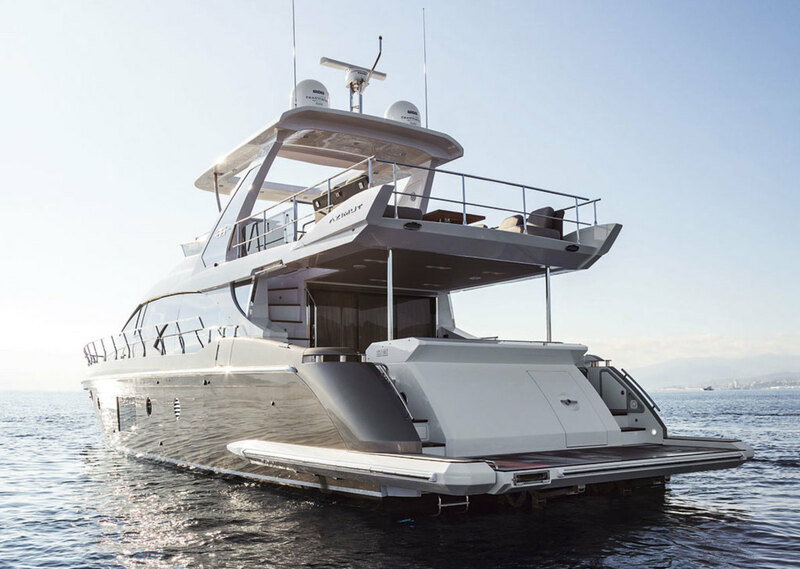 The company uses vacuum infusion to optimize strength-to-weight ratios in both hull and deck moldings but also in smaller parts such as cabinetry. 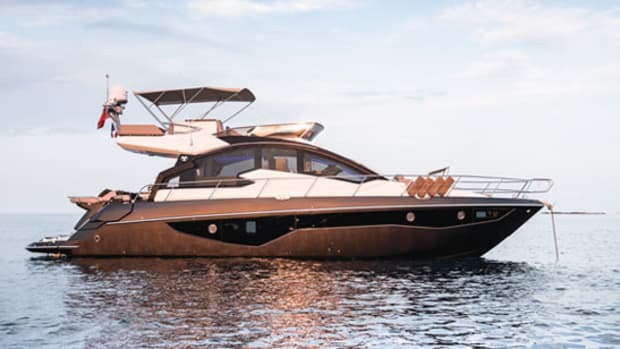 The 66 represents the builder’s first foray into carbon-fiber construction, using it on the radar arch, hardtop, flying bridge, and foredeck, without adding top-heaviness. The benefits of this construction show up in the living spaces as the design team can add volume and make the most of it. 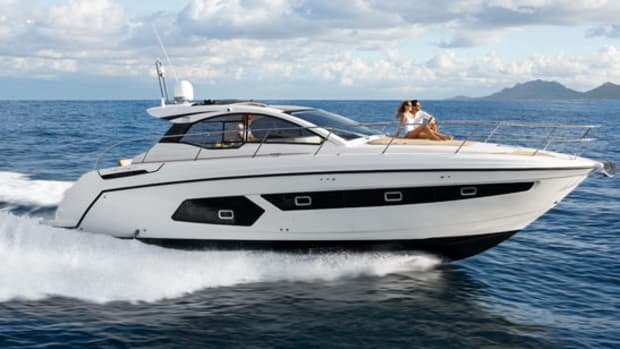 The flying bridge is large but doesn’t look it in the profile (Remember? 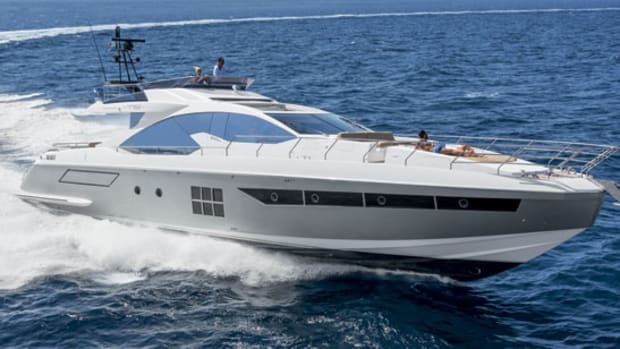 She’s sleek). 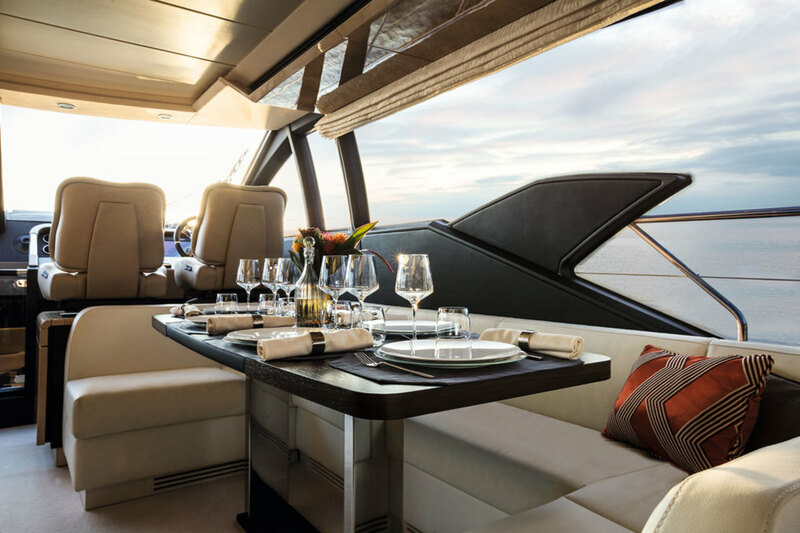 A bar forward of the galley is an inventive use of space. And the interior has that European feel—artful, clean, polished. 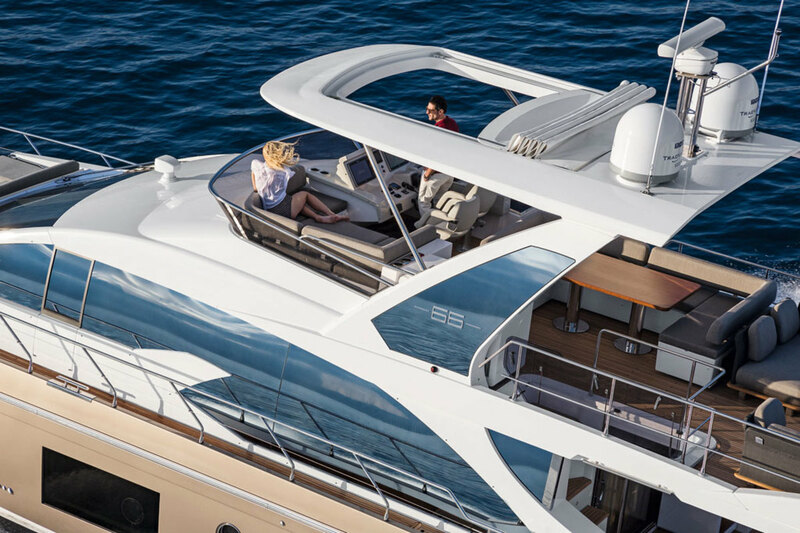 The bow, when seen from above, has that trapezoidal shape that I never understood before now. 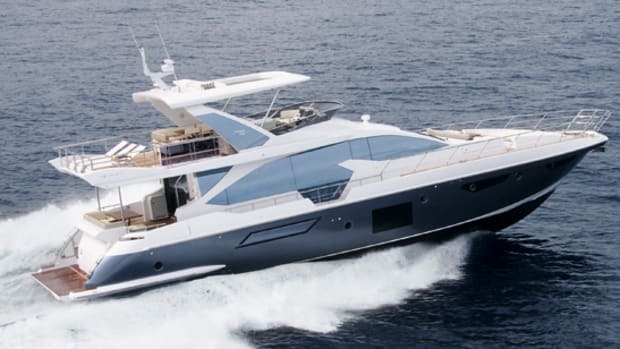 Standing on the foredeck, and, having been in the forward stateroom, I can see what giving up the traditional pointed bow gets you: More space where you are and where you want it, and yet keeping a hull shape that will still excite. 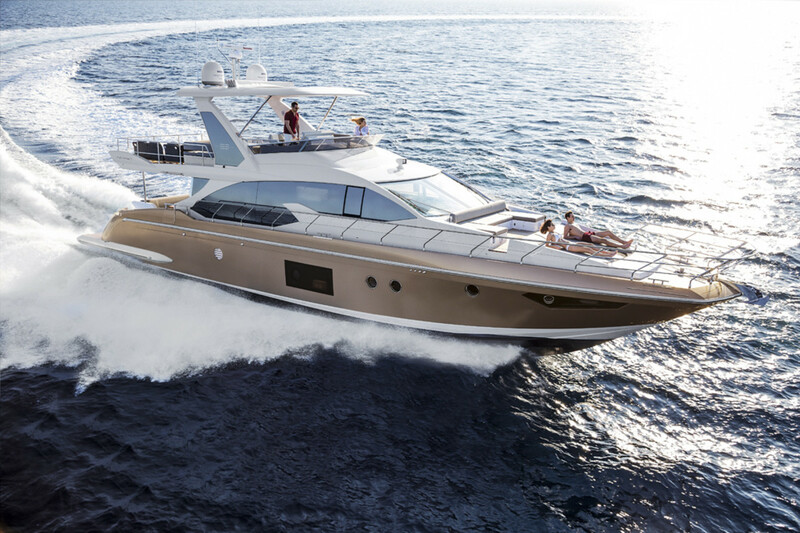 Be sure to check out the 66 Fly, which made her U.S. debut at the Yachts Miami Beach show last February. These oxymorons are beginning to grow on me. 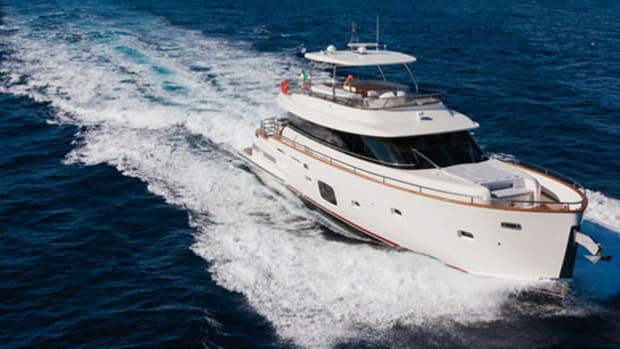 Click here for Azimut’s contact information and index of articles.